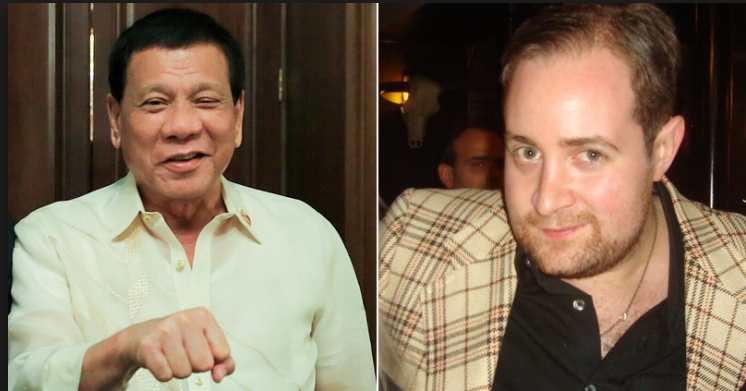 Adam Garrie, director of Eurasia future and a well-known political expert wrote an open letter to Philippine President Rodrigo Duterte, giving his support to push the creation of a federal republic. In his letter, Garrie said that this new political system will also ensure that when Duterte’s term is through, “the forces of political regression will not be able to undo the tremendous work you have done for the people and for the standing of The Philippines in the wider world. “Before your Presidency, The Philippines was for far too many, just dots on a map. Now The Philippines is at the heart of a peaceful revolution in government and an international leader in exemplifying a new mentality that looks to the future on the win-win basis that separates 21st century thinking from the decaying ideas of a past that should be left far behind.” Garrie pointed out. Furthermore, the Eurasia director also said that he has personally witnessed a lot of Filipinos weep with an overwhelming sense of pride for the country because Duterte is their president, thus, he joined the nation in thanking the president for his service to the people. Unlike most people who write to you I am not a Filipino but I see in The Philippines such great potential for the people and nation to expand current levels of peace, fulfilment, wealth, joy and health. Under your leadership I have seen the country stand upright and move forward with dignity towards a better future. Your Presidency has been what for lack of a better word is a blessing for the hungry who are increasingly fed, the innocently ignorant who will now be better educated, the enthusiastic who now see a future within The Philippines rather than something that only exists outside and perhaps most of all for the human beings that want to live in a land endowed with natural beauty rather than one plagued by the filth that is narcotics. In staking your Presidency on your push to create a federal republic, it may be that the next two weeks are the most important in Philippine history since 1987. The present political system has put a potential Asian tiger in a cage and millions of Filipinos, OFWs and non-Filipino supporters of your excellent political program are crying for this tiger to be set free from its tiny cage. As myself and many other observers of this issue have long argued, federalism will at beast be an incomplete triumph when not accompanied by a parliamentary system that would allow the best and brightest to offer their ideas to the country in a manner that is more direct, more efficient and more transparent than the current system. I also stand among those who advocate a more open economy as this represents not only for The Philippines but for the wider world, the path to a future of greater collective prosperity in an age where both people and nations are more interconnected than ever before in history. For a nation with the great potential of The Philippines, I believe there is nothing to fear from opening all clean economic avenues to respectful international partners at a time when the most dynamic economies in Asia are doing the same. What stands before the Philippine nation is a rare opportunity to reshape not only the sentiment in politics and the trust in political leadership – two things you have already accomplished, but to reshape the entire nature of a political system that is broken beyond repair. I speak to you from a position of humility. I am one voice of many and my only aim is to add one more to a choir that is singing in unison for as much reform as possible as there is little time to waste. You have often said that if federal reforms are passed you will resign. My only worry is that your are putting your own sense of duty to defeat extravagance in politics above the potential for wide reaching reforms that in my view you are alone in being able to push forward. I do not believe that any modern Philippine leader has cared so deeply for the people as you do. Sometimes, even from afar it is possible to sense such things. This is why I stand with the Filipinos who want a political system that can insure that when your time in power is through, the forces of political regression will not be able to undo the tremendous work you have done for the people and for the standing of The Philippines in the wider world. Before your Presidency, The Philippines was for far too many, just dots on a map. Now The Philippines is at the heart of a peaceful revolution in government and an international leader in exemplifying a new mentality that looks to the future on the win-win basis that separates the 21st century thinking from the decaying ideas of a past that should be left far behind. Whether or not you stand before a would be parliament is a matter for yourself and for your people who continue to put their trust in you. But looking at the wider world, it seems all too necessary not to let The Philippines lose out on becoming what she could have been a long time ago were it not for small minded leaders who put today’s agony above dreams of tomorrow’s ecstasy. I have personally seen many of Filipino weep with an overwhelming sense of purpose when they tell me “Duterte has made me proud of my nation for the first time in my life”. I humbly thank you for your service to your nation which has inspired millions around the world. I am but one of them.